Audi alignment services start at $169.99*. *Discount cannot be combined with any other special offer. Please present this offer at time of write-up. One coupon per customer per visit. Excludes, tires, and wheel and tire packages. Discount is off dealer price. Excludes taxes. Not redeemable for advertised specials, previous purchases or cash. Valid at Prestige Imports only. Discount is not valid at the Prestige Imports Collision Center. Through April 30th, take 10% off the cost of any brake service at the Prestige Audi Service Center. *Discount cannot be combined with any other special offer. Please present this offer at time of write-up. One coupon per customer per visit. Excludes alignment services, tires, and wheel and tire packages. Discount is off dealer price. Excludes taxes. Not redeemable for advertised specials, previous purchases or cash. Valid at Prestige Imports only. Discount is not valid at the Prestige Imports Collision Center. Offer Expires 04/30/2019. 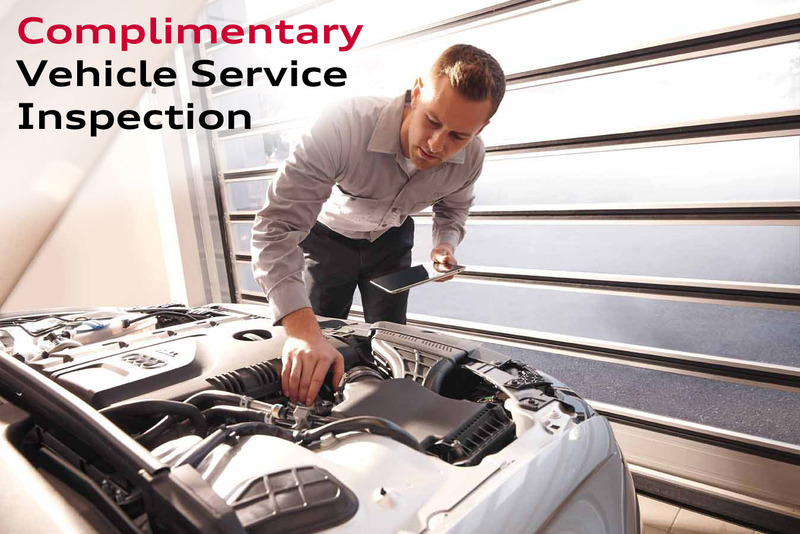 Come to the Prestige Audi Service Center for a FREE A/C Performance Check. We check compressor belts, check the condenser for damage, and test vent temperature. Receive a 10% Discount if any A/C service is found to be needed after the free inspection. *Discount cannot be combined with any other special offer. Please present this offer at time of write-up. One coupon per customer per visit. Discount is off dealer price. Excludes taxes. Not redeemable for advertised specials, previous purchases or cash. Valid at Prestige Imports only. Discount is not valid at the Prestige Imports Collision Center. Offer Expires 04/30/2019. Warm weather is on the way! Make sure your Audi is ready for spring and summer road trips with a Spring Service Inspection. The inspection includes checking fluids, brakes, belts, hoses, battery test and checking visually accessible parts under the vehicle. Also includes a carwash. All for only $29.99. *Discount cannot be combined with any other special offer. Please present this offer at time of write-up. One coupon per customer per visit. Excludes taxes. Valid at Prestige Imports only. Discount is not valid at the Prestige Imports Collision Center. Offer Expires 04/30/2019. Get a fresh shine on your Audi just in time for that summer road trip. The Prestige Auto Spa has immediate availability to make your car look like new. We are proud to partner with Adam's Polishes for a full complement of products that truly set a Prestige detail apart from other detail services you are likely to find in the Denver area. Adam's Polishes is a local company that manufacturers all of their products right here in Colorado. Their products are not mass-produced and each is carefully formulated with special blends of high-quality polymers, acrylics, and waxes. They are guaranteed to outshine and outlast any product you've used on your vehicle before. Experience the Prestige/Adam's difference at the Prestige Auto Spa. Click the button below to view our full suite of detailing services, or contact your Prestige Imports Service Advisor today. This multipoint inspection lets you know if anything needs immediate attention and what may require care down the road. Inspection includes a complimentary exterior vehicle wash. Customer must present offer at time of write-up. One offer per customer per visit. May not be combined with other offers. No cash value. Valid at Prestige Audi only. Offer not applicable at the Prestige Imports Collision Center.